Office design trends directly impact office leasing and sales. It influences the types of businesses that you may attract, lease rates, and more. 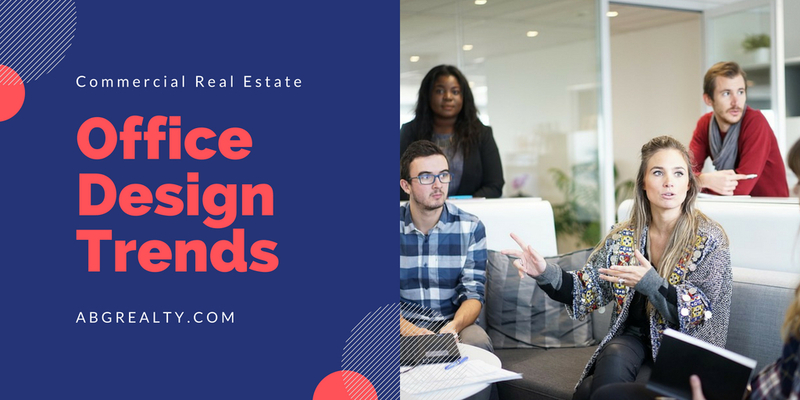 For this reason, it’s important for landlords to stay up to date on the latest commercial real estate office design trends. Here are some key trends to consider. Modern office spaces no longer include extensive private offices and high cubicle walls. Open workspaces are now the trend. For instance, if you walk into the new Millipore Sigma building in Burlington, MA, you won’t find any private offices. Everyone is given a cubicle with short walls, leading to a very open office feel. Even conference rooms feature glass separators rather than solid walls. You can actually look straight across from one end of the building to the other. Companies are encouraging collaboration by creating flexible spaces for employees to gather and interact. These range in design and can include anything from laptop stations to casual seating/furnishings. Such spaces encourage people to work together and make it easier for them to do so, thus it is one of the most popular commercial real estate office design trends. Shared office space is yet another popular trend. Businesses are beginning to allow more remote and field work. Thus, assigned office spaces are not necessarily required. Instead, businesses are opting for generic workstations where employees can hook up their laptop for a given day. A small number of stations can accommodate a much larger workforce. A wall that doubles as a white board or screen. Large tv or computer monitors that can be connected to wirelessly. Flexible meeting spaces that can grow or reduce in size, as needed. Open spaces with acoustical enhancements. As a landlord, understanding the latest commercial real estate design trends allows you to attract a wider range of potential lessees. Think about whether your building layout, building materials, and other design elements lend itself to the needs of modern companies. And if not, what can you do to improve that?